By completing the 12 lessons in Indonesian for Beginners, you will learn not only to understand, speak, read and write basic Indonesian, but also about many important aspects of Indonesia's amazingly diverse culture, people, and places. This book provides a gateway to understanding the Indonesian language and country, and helps you to apply what you learn in a way that is relevant, meaningful and fun. 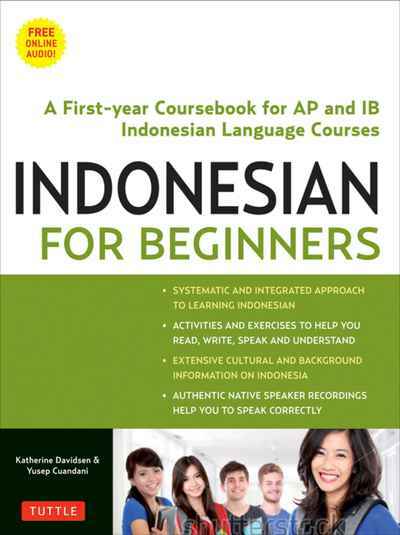 Indonesian for Beginners includes reading, writing and speaking tasks based on authentic real-life materials. While aimed at learners taking a classroom course, it can also be used by anyone studying Indonesian in other ways—in a high school course or as a self-study book.